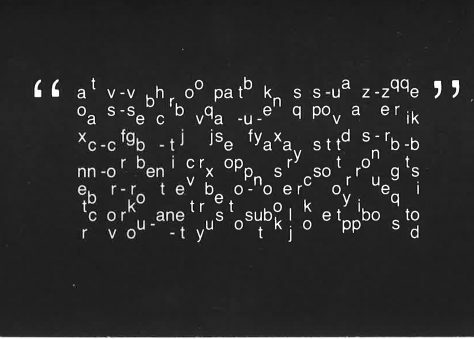 On the evening of March 1, 1985, artist Peter Rose exhibited two of his films, "Digital Speech" and "Secondary Currents," as well as "The Pleasures of the Text" a live work for a performer with accompanying video. "Digital Speech," a 13-minute video, featured Jim Meneses in a parody of electronic image manipulation and rock video that was based conceptually on a variant of a Zen parable. "Secondary Currents," a 16 millimeter film at 16 minutes long, featured percussion by John Meneses, in an "imageless" film, composed solely of voice-over commentary and narration. "The Pleasures of the Text," a video that was accompanied by performance, explored language as a construct. "Pleasures of the Text" was written, directed and delivered by Rose and co-directed by Jessie Lewis with English voice-over by Fred Curchack. After it's showing at The Kitchen, "Pleasure of the Text" was later exhibited as part of the 1985 Whitney Biennial.